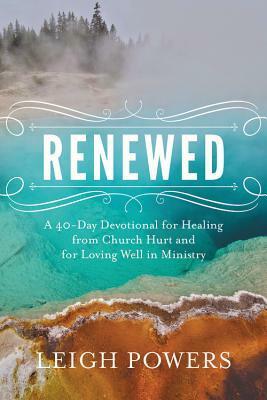 "Renewed" is a breath of fresh air when it comes to devotionals. It isn't the average devotional you see on the shelf and you won't find a quick paragraph with some scripture passages to read, a writing reflections but instead you will find real healing from the church that has wounded you. Powers makes no qualms about writing from her personal experience with regards to ministry. She writes honesty, with transparency and with this rawness that I can relate to. She isn't willing to shy away from topics, but she Goes there! Which, I LOVE! 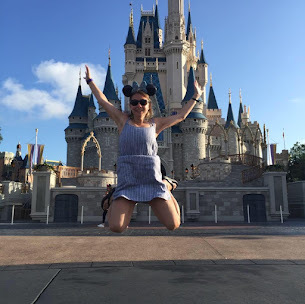 We need more people who are willing to be brave! If we want to the church to heal, we need to be brave. She encourages readers to have personal reflection through contemplative questions that will help you dig deep, every single day for 40-days! This is probably one of the hardest and best devotionals I have worked through in a long-time because it isn't a feel good devotional. In fact, I loved every minute of it. It is very impactful, if you have a desire to grow, heal and are willing to do the heavy lifting to become more whole. I really enjoyed this devotional. A favorable review was not required. I give this book 5/5 stars.